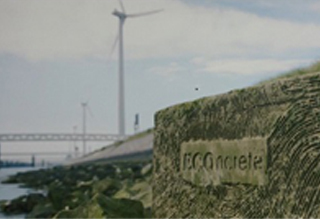 The Reinforced Earth Company (RECO) and ECOncrete Tech are collaborating to bring concrete to life in Australia! Testing of the patented bio-enhancing admixture is now complete, with compliance to Australian Standard 1478.1 achieved. When the admixture is included in a bespoke concrete product, designed with the structural and biological requirements for your project in mind, not only does the concrete become bio-active but it also has the added bonus of increased structural & durability properties. 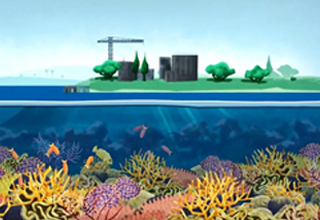 ECOncrete offers revolutionary, robust, environmentally sensitive concrete solutions that change grey urban coastlines into blue-green infrastructure. ECOncrete Tech Ltd and Reinforced Earth Pty Ltd have successfully submitted an abstract for a joint paper to be presented at the Concrete Institute of Australia Biennial Conference, Concrete 2019, which is being held in Sydney in September. The paper is called Bringing Concrete to Life: Harnessing Biological Processes for Building Resilient Ports and Coastal Infrastructure. 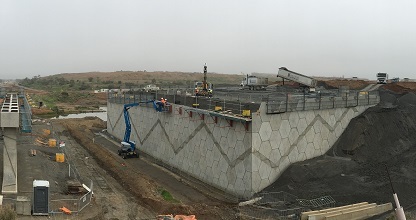 The Reinforced Earth Company (RECO) designed and supplied Reinforced Earth® bridge abutments for the Northern Connector Project in South Australia. The hexagonal concrete facing panels were precast by RI Industries and feature a shadow line that weaves through the design. 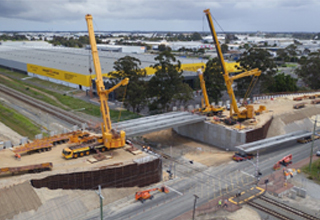 Due to the small project footprint on the Nicholson Road Bridge Over Rail Project, completed earlier this year in Perth, the bridge abutments needed to be constructed in 2 stages. Adding to the complexity of the works, the beams were required to be lifted into place by 3 cranes. Detailed assessment was carried out by RECO engineers and the Reinforced Earth® walls were designed specifically to withstand the high crane loads applied. Follow this link to read more.